K-Cup 54-Pod Drawer Just $7.87! Down From $35! You are here: Home / Great Deals / Amazon Deals / K-Cup 54-Pod Drawer Just $7.87! Down From $35! This is the best price ever! Head over to Amazon to score this K-Cup 54-Pod Drawer for just $7.97 down from $34.99! Please note that this is an add-on item and will ship with a qualifying order of $25. The Nifty single serve coffee pods Drawer is a stylish way to store and display all of your favorite single serve coffee pods flavors. 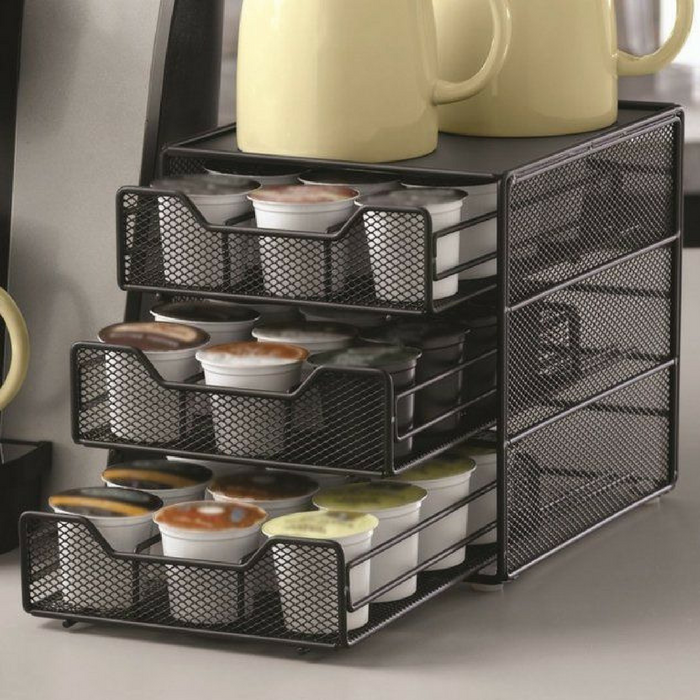 The single serve coffee pods drawer is a high capacity drawer as it holds up to 54 single serve coffee podss, while taking up a very small portion of your precious counter space. The three-tiered drawer construction saves precious counter space and makes it extremely easy to find and select your favorite single serve coffee pods flavor. The satin black finish looks great on any kitchen countertop. Perfect!